I chose the subject matter on a whim really, but I'm glad I did. 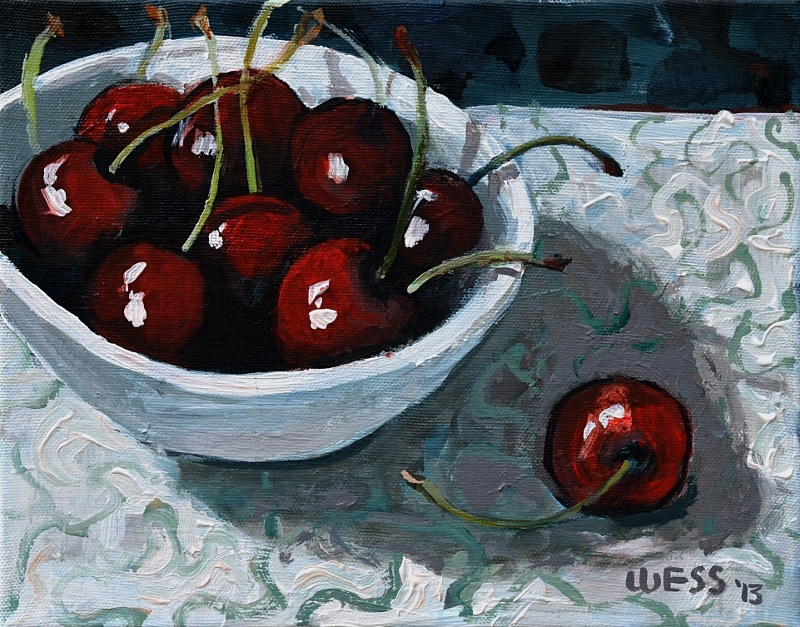 Painting small live objects (as opposed to painting from a photograph or computer screen) is a valuable exercise for the artistic mind. There's just something different about it---if nothing else, it presents a nice change of pace (though I'm sure there is something more to it than that---I'm just not putting my brain on it at present). Anyway. Lego Duck. Or chicken. Or bird---it doesn't matter to me. I like how the painting turned out. I've added the painting video below. Thanks! This was a quick study of an orange lantern with a white pillar candle. This lantern was hanging outside on our patio and I couldn't resist painting it. I don't know. 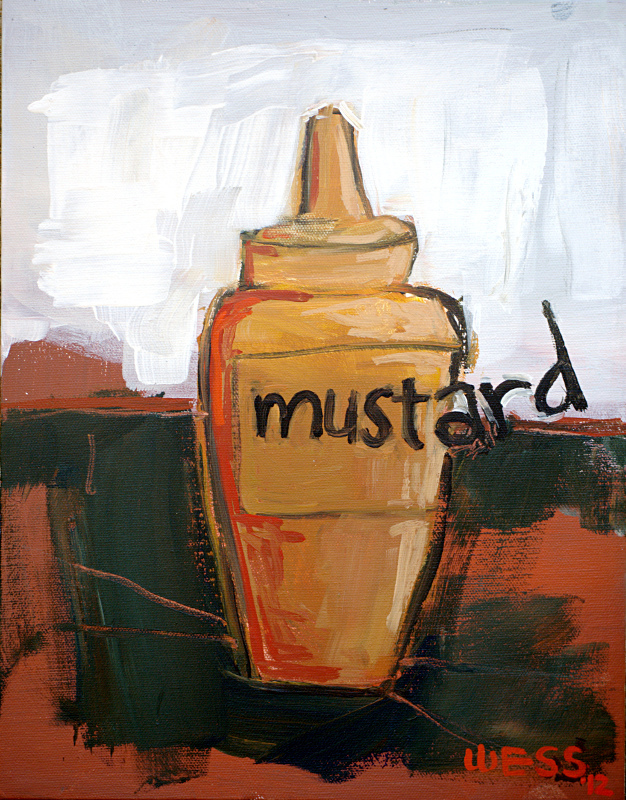 I was in a certain mood at the time and I simply needed to show the entire word: "mustard." 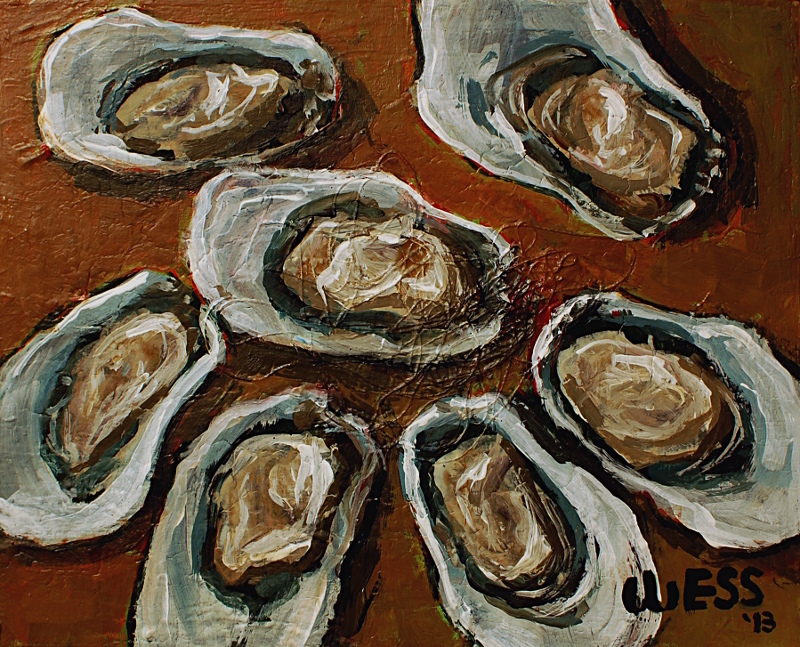 Besides, if I had painted it as I saw it, I would have to rename the painting, "musta," wouldn't I? At any rate, though I couldn't bring myself to share the painting for several months, I also couldn't bring myself to paint over it. So it remains. Mustard.